Element Games Northwest gaming centre. decided to continue with this in this year’s event! Army Review, Battletome, Chaos, Podcast, Review 0 comments on Episode 71: Blades of Khorne! Episode 71: Blades of Khorne! …we talk about the Blades of Khorne Battletome in detail. We discuss all the options, but mostly skull cannons… and how to buff your skull cannons and why skull cannons are amazing! Well we do talk about everything else in the battletome and some of the sneaky blood tithe combos and tricks which can be pulled off using the new judgements of khorne and blood blessings. So get ready to sacrifice skulls to the altar of awesome and sit back and get ready for some (bloodskullwrath) hammer to your face. 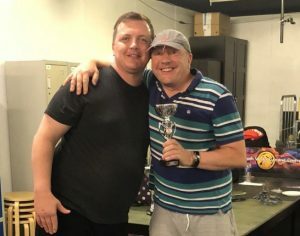 Tournament Pack 0 comments on The SCGT 2019 Event Info! The SCGT 2019 Event Info! This year is the 11th of the SCGT event held in Horndean Portsmouth. With Capacity for 200 Age of Sigmar players. This 6 round Age of Sigmar match play event is one of the must attend events of the UK AOS Tournament Calendar. This contains all information about the event. Tickets will go live Saturday 2nd Feb at 20:00. In years passed the event has sold out its capacity (200 players) in under a minute, so we advise being quick with the button. Army Review, Destruction, Gloomspite gitz, Podcast 0 comments on Episode 66: Gloomspite Gitz! …We cover the Gloomspite Gitz battletome in depth! 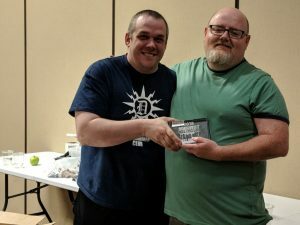 First we discuss all the artefacts, spells and allegiance abilities, highlighting the combos and stand out choices for match play Age of Sigmar. Secondly we discuss the warscrolls and battlations in depth, discussing all the rules, points and potential battlefield application for the units concluding our full length breakdown of the Gloomspite Gitz battletome. …then sit back and get ready for some Hammer to your Face! 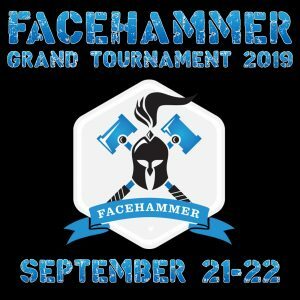 Podcast, Tournament Coverage 0 comments on Episode 64: FaceHammer GT 2018!